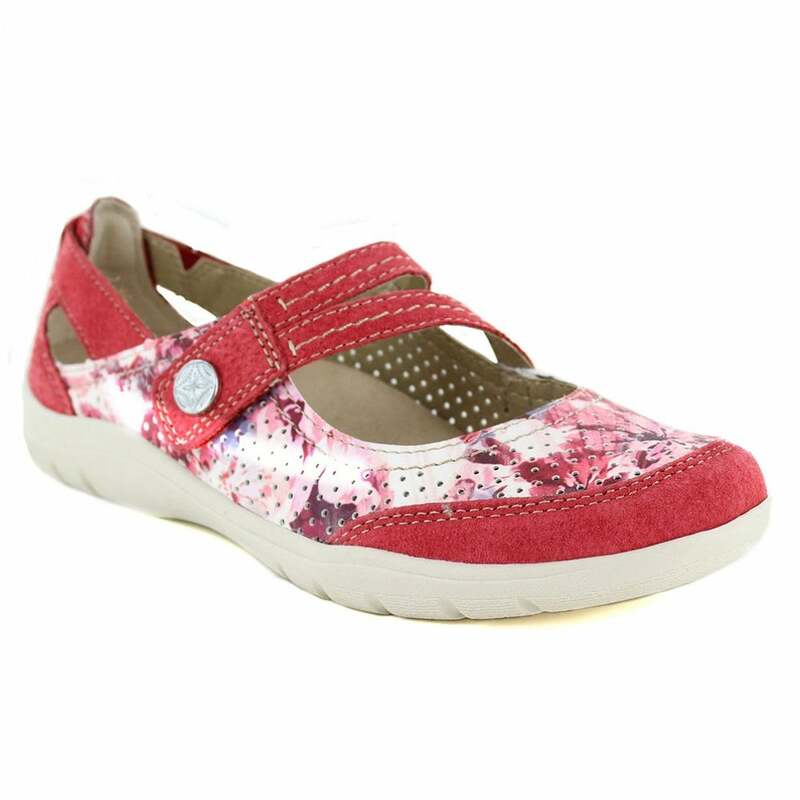 The womens Maryland sandal has suede leather and textile uppers in Jazzy Red decorated with interesting detail stitching and floral pattern. . For your custom fit, the Maryland walking sandal has a velcro adjustable strap lying over the top of the foot. Inside, the womens walking sandal has a textile insole with impact absorbing cushioning and a well padded arch support. Continuing Earth Spirit's commitment as a company with a conscience, the womens Maryland sandal has a flexible, ridged biodegradable outsole. Lightweight and comfortable, the Earth Spirit womens shoe is a great choice for your holiday suitcase or weekend walking - perfect for the woman on the go.